Joe (Veronica Kedar) is a young and very cynical drug dealer. She lives in Israel but dreams of a far away land. Belle (Sivan Levy) is a suicidal beauty with a romantic soul who just got out of a mental institution. They first meet in Joe's bathroom. You see, Belle broke into Joe's appartment (not the one with the cockroaches) in order to end her life in a shower. Luckily, fate decides to interfere and from the moment Belle's eyes catch a glimpse of Joe's dreamy face, she decides to put away her razor-blade and exchange it for something less rusty... Say... Love?! But we're getting ahead of ourselves. There is one big obstacle in Joe and Belle's road to the promised land of liberated love: a body - a dead body to be precise - which belongs to Matan (Yotam Yishai), Joe's sociopath ex-boyfriend (oh yeah, Joe is into men in the first act). Poor Matan was accidently shot by Belle while trying to retrieve his personal belongings from Joe's flat (This has to be one of the most penetrable shacks in Tel-Aviv). 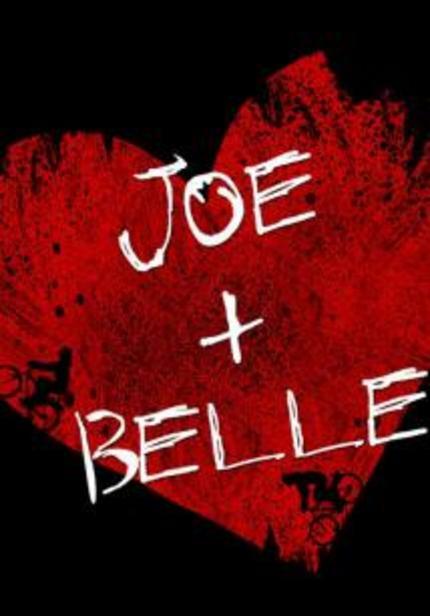 "Joe+Belle" is Israel's hillarious answer to "Butch Cassidy and the Sundance Kid" and the likes. What if "Thelma and Louise" were roaming the crowded streets of the promised land? What would have happened if "Bonnie and Clyde" did their deeds in Tel-Aviv? How would their escape route look like in a tiny-little country - where everybody knows each other and even slept with each other (you're probably buying tickets for the first flight to Tel Aviv right now). Israel is a land which offers no hideaways and has no Mexican border to dream of. It's true - if Butch Cassidy and the Sundance kid were trying to make a getaway to the Israeli borders, they would have probably end up in Lebanon. And with these odds there's no wonder Joe and Belle decide to do the most logical thing they can do- to stay in Israel and hide in the one place nobody will ever look for you: Sderot - a small town whose citizen's live under constant Qassam rocket attacks. I should mention that "Joe+Belle" doesn't rely heavily on action scenes or gruesome images you might grew to expect from the ol' "hot couple on the run" genre. This is no "Natural Born Killers". In her debut film, Veronica Kedar chooses a different path which offers the viewer a very tender, yet quirky and twisted, fairy tale. No pun intended! Kedar and Levy (she reminds me of Marion Cotillard) are excellent in the lead roles and their bitter-sweet chemistry is just heart-breaking. "Joe+Belle" will make its International premiere at the Outfest film festival in Los-Angeles on July 10th (Sunday, 7:15 pm).